Electric cars have been around for more than 100 years and work very well, and yet, plug-in vehicles currently only account for about half a percent of new light-duty vehicle sales in the U.S., despite the runaway success of the numerous electric vehicles (EVs) available on the market. EVs are also massively efficient: about 85% of the energy from the wall plug is used to drive the wheels, while in conventional vehicles, about 85% of the energy poured into the tank is wasted as heat. Even with larger upstream losses in the case of EVs, electric vehicles still win the well-to-wheels contest and are the most efficient architecture. So, why do plug-in vehicles only make up half a percent of the total market? Scalability. Case in point: a Nissan Versa costs about $14k and uses about 350 gallons of fuel per year, which is about $1,225 at $3.50/gallon. The same car with electric drive - a Nissan Leaf - costs double and, if driven the same 12,000 miles, uses the equivalent of 106 gallons per year, which is about $371; saving the driver $854. But the Leaf driver invested $16k more than the Versa driver, so the payback for the Leaf takes almost 19 years. 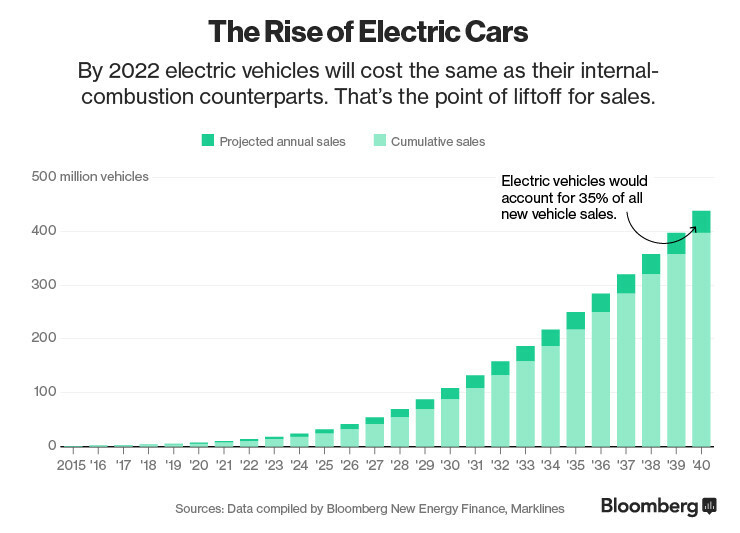 When thinking about scaling electric vehicles, it's almost as if we asked the wrong question. If you ask, “How can we make more efficient cars?” to a roomful of engineers, you will immediately get back “What's the most efficient car we make? And how can we make it better?” And you will get a Nissan Leaf. If instead you ask, “How can we save the most fuel, per vehicle per year, to get the shortest payback?” You will immediately get asked, “Which vehicles burn the most fuel per year, in the hardest drive cycle?” The answer: trucks. Big, smelly, noisy garbage trucks. Driving 130 miles per day at 2.8 MPG is about 12,000 gallons of fuel per year. At $3.75 per gallon, that’s $45k on fuel alone, not even including maintenance. If we get the same proportional gain as in the Leaf case, we would save 8,366 gallons per year, or $31,372. Plus about $20k per year goes on maintenance, mostly for the brakes. That’s $51k saved per truck, per year. While it costs about 10 times more to build a powertrain for a garbage truck than for the Leaf, it is actually a more economic proposition. For an additional $150k to replace a conventional diesel powertrain with a range extended electric vehicle (REV) powertrain, the payback is simple: $150k/$51k in fuel and maintenance per year in just under three years. Thus, the economic opportunity to scale electric drive with garbage trucks is an order of magnitude greater than a personal car. The economics are comparably compelling in scores of other heavy- and medium-duty applications – from delivery trucks and city transit buses to drayage trucks. The cost of the powertrain goes up as you move up into heavier vehicles with harder drive cycles, but the fuel and maintenance saving goes up much faster. You may ask: can you even do that? And the answer is yes. Locomotives have had electric drive for more than 100 years, and freight trains can weigh 10,000 tons. Massive mining trucks use electric drive. The Queen Mary 2, at 75,000 tonnes, is propelled by four 28,800 horsepower electric motors. So Class 8 garbage trucks that weigh 66,000 lbs. or heavy public transportation buses certainly can too. But it can't be done with batteries alone. The battery pack for a Class 8 garbage truck would weigh 10,000 lbs., cost half a million dollars, and take up half the payload space. However, it can be done with a range-extended EV powertrain, with only a sixth of that battery pack, and a 50kW range extender or turbine generator, which is actually ideal for these applications. The battery pack can be sized to deliver the peak power (or more importantly, to absorb the peak regenerative braking power) while the range extender only needs to supply average power, which is surprisingly low. That's a consequence of the drive cycle. One-hundred-and-thirty miles in an 8-hour shift is only 16 mph. If we analyze scalability for the shortest payback time, a range-extended EV powertrain is the clear winner for a Class 8 garbage truck and also for our cities’ most demanding vehicles. The scaling properties work towards the higher consumption vehicles and away from the light duty vehicles. Moreover, a powertrain’s fuel, and maintenance savings all follow a curve and as vehicle weight is reduced and the drive cycle relaxed, the payback gets longer, or vice versa. With current fuel and battery prices, 14,000 lbs. loaded weight in a metro delivery drive cycle is about the lowest limit for a reasonable payback, so Class 8 garbage trucks are the holy grail for displacing fuel and making big savings. When we think about scaling EVs, it pays to ask the right question. At Wrightspeed, rising demand for our Route powertrain throughout the global transit market indicates the scalability of our approach to transit. Our customers, including FedEx, Ratto Group and NZ Bus, show the strong business case in opting for REV powertrains to improve efficiency and performance for the most challenging jobs on the road. Ultimately, REV powertains offers an ideal and economically attractive to tack urban drive cycles and offers an effective way to improve urban conditions.